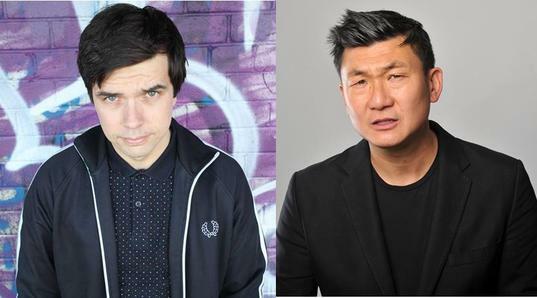 Chris Kent is back in Brussels, and with him a newcomer to our comedy nights, Rick Kiesewetter, check them out! In 2010 he was the recipient of the Comedy Smack Down Award at the Galway Comedy festival, and Winner of the Bulmer’s Nuttin’ But Funny Comedy Award 2009. Rick was adopted in Japan and raised in New Jersey and is now a British citizen, this gives him a unique view of the world. His comedy is based on his life experience, everything from his time in US Military Intelligence to being the first Asian contender in the cult UK TV show, Gladiators. He regularly performs at top comedy clubs across the UK both as a compere and act and loves to interact with the audience. He’s taken 2, hour long shows to the Edinburgh Festival: Chink and No More Mr Rice Guy. TV appearances include the BBC Comedy Awards and NBC’s Last Comic Standing. Rick is just a New Jersey guy, living in London and ready to make you laugh.